AZzardo 'Quince 50' 6 light ceiling pendant in polished chrome finish with white opal glass shade and crystal ball detail. The product code for this fitting is AZ0702. Add a touch of elegance to the most loved room in your home with this absolutely stunning 6 light ceiling pendant. 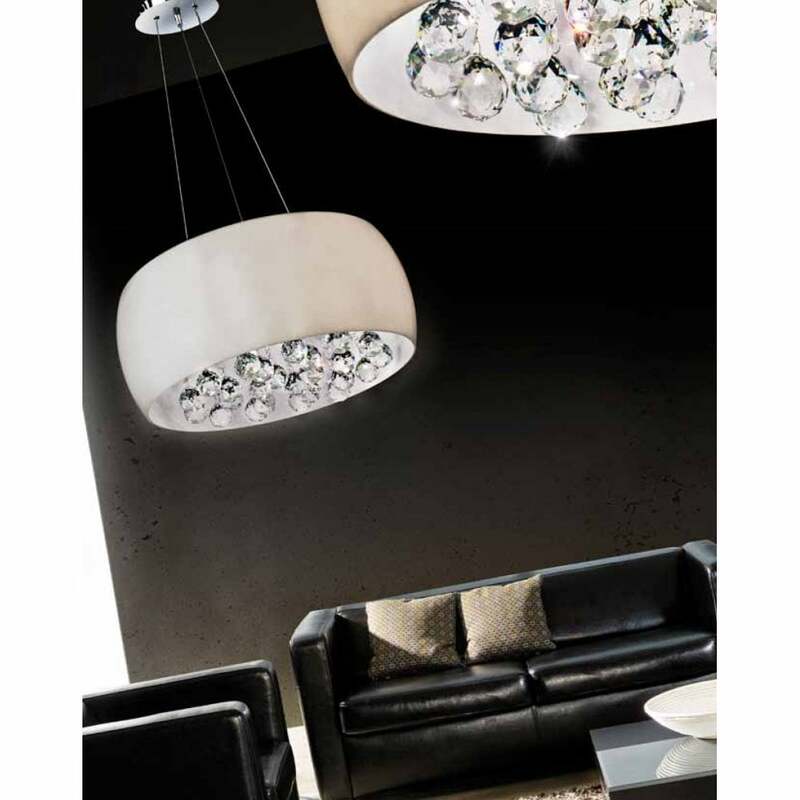 This remarkable fitting features breathtaking crystal ball droplets beautifully hung within a white opal glass shade. The perfect addition to any modern or contemporary style decors. Please note this product comes from Europe so please allow 10-14 working days for delivery. Quince have a selection of lights available, all of which can be viewed and purchased via our website.